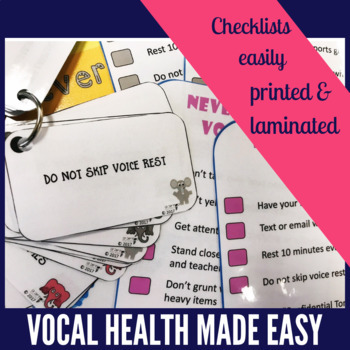 Health voice tips can help students and teachers alike. 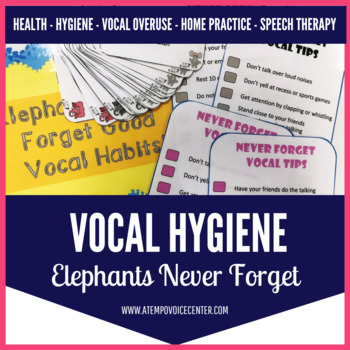 Elephants never forget to use good vocal habits to keep voice disorders far away. 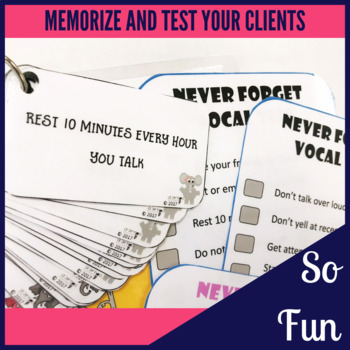 These are QUICK PRINTABLES you can laminate and stick anywhere to help your speech therapy clients and students keep their good vocal habits in their memory. 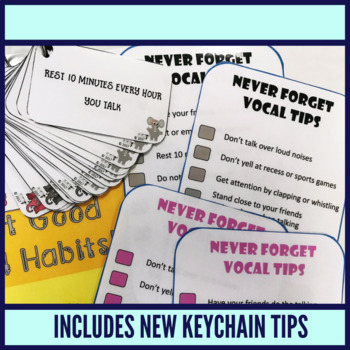 Includes Keychain sized flash cards as well for excellent mobility.